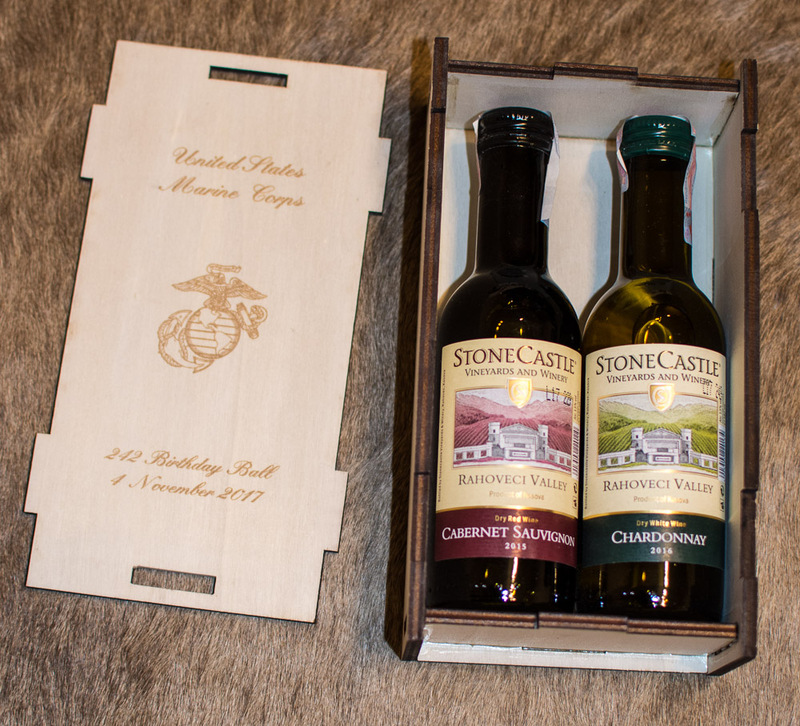 The Marines gave everyone who attended the ball a couple of bottles of wine! 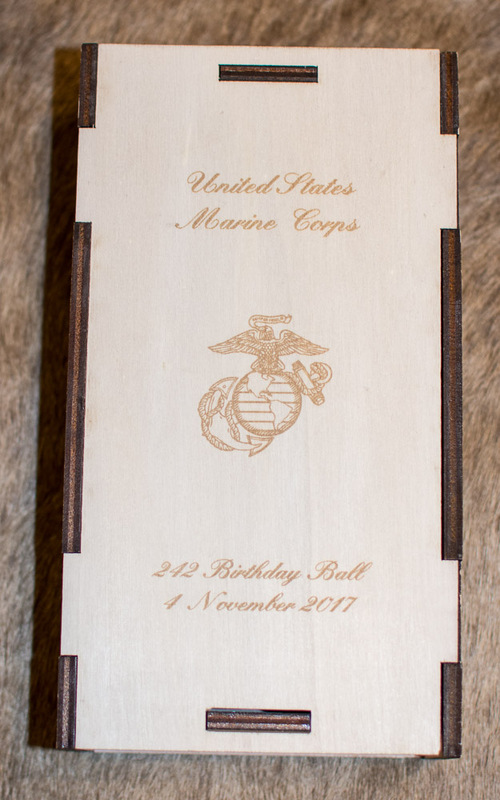 Nice commemorative box, too. Nice. It wouldn't be my thing, as I can't drink anything alcoholic (meds I'm on are NOT to be mixed with it), but it's a great idea.